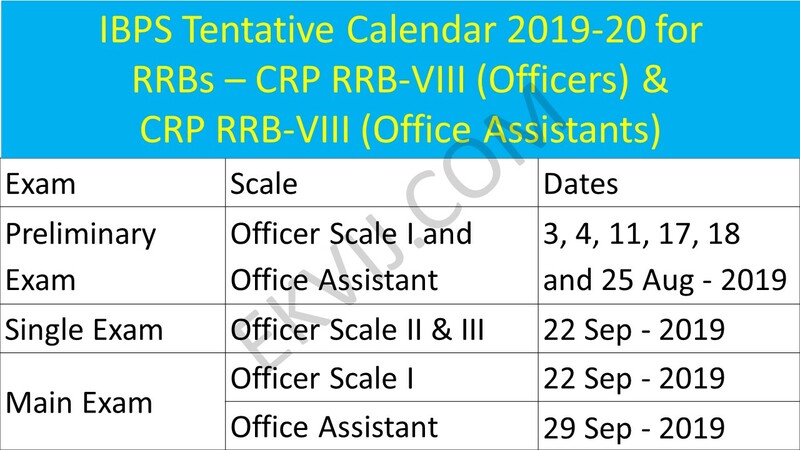 IBPS Exam Calendar 2019-20 for RRBs and PSBs has been released by the Institute of Banking Personnel Selection (IBPS) on its official website. IBPS organizes the CWE RRB exams to recruit staff and officers for Regional Rural Banks while it organizes various other exams for recruitment of staff and officers in Public State Banks. Candidates keen on pursuing a career in the banking field must refer to the IBPS 2019-20 Exam Schedule and prepare accordingly. To download pdf click here.